St. Johnsbury Academy Jeju (SJA Jeju) finally welcomed its first new students to the school on Monday, Oct. 23. Although, the official opening ceremony for the school will take place on Nov. 3. While the school has a maximum capacity of 1254 students and 68 classes, this year it will begin with 440 students in 27 classes. These will run from Pre Kindergarten to grade ten. When the school reaches full capacity it will run all the way through to grade 12. The school first signed a Memorium of Understanding with the Jeju Free International City Development Center way back in May 2012 and was originally set to open in 2015. 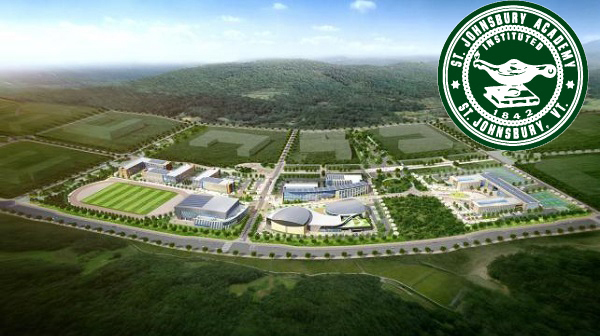 There are now four schools in the education city: St. Johnsbury Academy Jeju, Korea International School, North London Collegiate School Jeju, and Branksome Hall Asia. However, plans are already being made for a fifth school in the city. Back in May of this year, the JDC signed an MOU with Oldham Enterprises Pte, LTD, which is the company that operates the school ACS International in Singapore.